Patrick Walsh, Vice President of cybersecurity company FireEye, agreed, and said that in such a risky cyber landscape, further collaboration is needed. 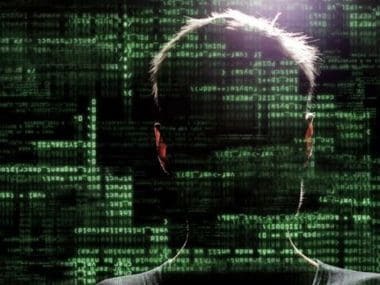 The constantly evolving threat of cyberterrorism is developing too quickly for governments to keep up, according to Australian cybersecurity experts on 27 September, after a report declared that the country needs an additional 11,000 cybersecurity employees to keep pace with the growing threat. The report, tabled by the Australian Cyber Security Growth Network (ACSGN), called for assistance from the tertiary education sector and, speaking to Australian Broadcasting Corporation (ABC) radio, ACSGN CEO Craig Davies said it was time for the government to encourage tertiary institutions to offer courses in cybersecurity. "The demand for skills has outstripped anyone's ability to produce skilled candidates in this space. It's just a rocket ship, this industry, and we have zero unemployment and the demand is massive," Davies told ABC radio. "Education and growing that skillset is important, and we're working with the vocational sector very closely. We will certainly make a substantial dent in that (need of 11,000 employees)." Patrick Walsh, Vice President of cybersecurity company FireEye, agreed, and said that in such a risky cyber landscape, further collaboration between the private and government cybersecurity sectors was needed to stay on top of the threat, Xinhua news agency reported. "In the past, we would have a government approach and a private sector approach, but increasingly we need to leverage each other and work collaboratively," Walsh said. "There have been so many changes in the cybersecurity landscape in such a short amount of time, that it makes me nervous because there's a real threat (out there)." Meanwhile, coding expert Tim Edwards said that in a world which continues to rely on the Internet and computers, the art of coding needed to become "common knowledge" for young Australians. Traditionally, Edwards said coding was a male-centric pastime, calling on lawmakers and educators to encourage more females to take up coding. "It's been a male-dominated world for some time, and that means you're turning half of the population away," Edwards said.